I suppose it’s fitting that we have some exciting Doctor Who news for you on the day the show returns to our TV screens. While we’re going to see the rest of Season 7 start tonight, the 50th anniversary will start filming next week. And with that, we’ve got the news you’ve all been waiting for. According to the new issue of Doctor Who Magazine that will be out next week, as well as the official Doctor Who twitter account, David Tennant and Billie Piper will be returning for the 50th anniversary special. If you’re not excited for the 50th anniversary after that, then there’s no hope for you. 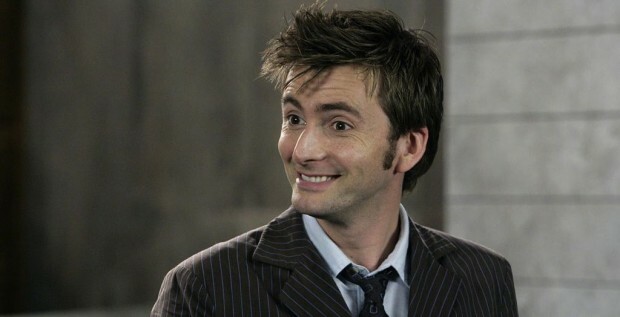 Fans have been hoping for a long time now that the Tenth Doctor and Rose would return. It remains to be known whether it’s a major role or an obligatory cameo but whatever the case may be, at this moment, I’m psyched. What excites me most about this news is finally getting to see what the chemistry will be like between David Tennant and Matt Smith’s incarnation of the Doctors (assuming they’ll share scenes together). The question is, who else will be back? All of the previous Doctors, including Tennant, always denied knowing anything about the special episode. But if both Tennant and Piper turned out to be lying, it’s safe to assume that the rest of them were too. The magazine issue also confirmed the casting of the brilliant John Hurt, most famous for his role in Alien. The length of the anniversary special is apparently 60 minutes long as previously rumored and will have a limited worldwide 3D cinema release. Considering showrunner Steven Moffat called those previous rumors “nonsense”, I’m not ready to believe that the episode will only be that long. But if anyone can pack so much in so little time, it’s Moffat. We’ll probably know more about the episode over the next few weeks as filming begins soon. This is no doubt only the first of many exciting announcements for the 50th anniversary. For now though, there’s enough excitement to be found when Doctor Who returns tonight with “The Bells of Saint John”. But what do you think of Ten and Rose returning? Let us know in the comments.